Marilou Wayburn was just a girl when she was shooed off the sidewalk outside of Lucy Stump’s home. “I was kind of cranky and got mad at the kids skating by,” says Stump, a widow who opened her hat shop after moving to Farmington, New Mexico, in 1897. Wayburn, now 86, flashes a knowing smile. She remembers Stump. In fact, she remembers many of the people in Greenlawn Cemetery tonight — the living, the dead and the living who tell stories of the town’s early settlers. Husband and wife team, Eugene and Wendy Schmidt, play Alfred and Lucy Stump, early pioneers of Farmington, New Mexico. But Lucy Stump isn’t Lucy Stump at all. That’s actually Wendy Schmidt (above, at right), who portrays the shop owner as part of an annual fundraiser called Dining with the Dead, which is hosted by the Kiwanis Club of Farmington Rio del Sol, New Mexico. More than 350 people fill the cemetery on this warm September evening, filling their bellies with barbecue before being guided through the plots for a living history tour with a dozen local actors and Kiwanians playing a range of characters, many of whom are buried here. Including Lucy Stump. Scott Michlin, playing pioneer and merchant Frank M. Pierce, poses alongside Pierce’s tombstone. Wayburn, an author and local historian, sits in her walker and fans herself with the event’s printed program. More than 30 people are in the first tour group. And like Wayburn, many have ties to the stories being told tonight. “That’s my great-grandfather,” remarks one woman after the first tour stop. She’s talking about Bell Hudson, who rode with Pat Garrett’s posse and was friends with Billy the Kid. Tonight, he’s portrayed by Realtor Chuck Holmes. Indeed, Dining with the Dead has become a signature event for the club and sells out every year. It supports a number of projects, including clothes, shoes, coats and books for children, as well as a new garden for kids with cancer. Judy Castleberry stands in front of her great, great grandmother’s, Suzanna Rhodes, grave as she tells the tour group about her pioneer life. Some of the characters enjoy local fame, like Ike Stockton. Portrayed by Tony DiGiacomo, Stockton was one of the most famous cattle rustlers in the U.S. West and allegedly had more newspaper stories written about him than Billy the Kid. But many others were everyday people. These first Anglo “pioneers” endured months-long journeys in covered wagons during the late 1800s and early 1900s to settle the territory after the Civil War. As those on the tour learn, the pioneering women of the West were, in many ways, ahead of their time. Stump, a widow, opened a hat shop after moving to Farmington in 1897. Others founded schools and churches, and some even found themselves in positions of power. Charles Holiday McHenry played by Steve Clark talks about the Civil War and the courthouse burning to the ground. Ada Ivie Burdick worked at her husband’s law office before becoming one of the first female judges in the area, despite not having been to law school. She held many political offices and eventually retired as a United States commissioner in 1936 after serving 22 years in office. “She was a smart lady,” says Lauren Harris, who portrayed her. “I admire how outspoken she was. She always did what was right. Steven Clark, who plays homesteader Charles Holiday McHenry, feels similarly. Lauren Harris, portraying Ada Ivie Burdick, looks over Burdick’s burial marker in Greenlawn cemetery. Cast members and guests alike leave the experience with a better understanding of the women and men who laid the foundations for the city they now live in. As the sun sets and candles are lit for the remaining groups making their way through the cemetery after dark, club Secretary Jill McQueary, who leads the event, is thinking about pioneers to portray next year. Several attendees already have given her ideas or made requests. Ike Stockton, played by Tony DiGiacomo, relishes his outlaw role and fame in Farmington. 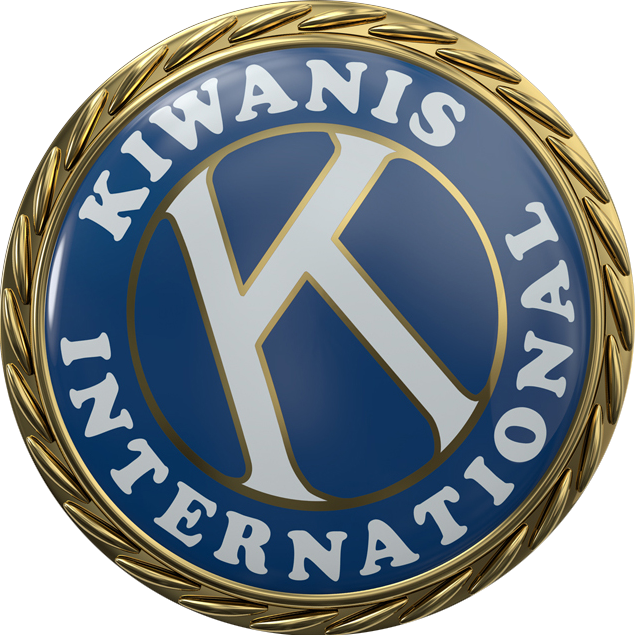 This story originally appeared in the January/February 2019 issue of Kiwanis magazine. Charley Tyler plays a colorful Texas cattleman, Wash Cox, in the “wild” days of Farmington. Charles Holmes, playing Bell Hudson, talks about his friendship with notorious outlaw Billy the Kid. Rebecca Morgan, portraying Agnes Miller Furman, looks out over the cemetery waiting for the next group to arrive.